We grow deciduous trees that weigh between 200 and 1900 pounds, height from 6'-30' tall. 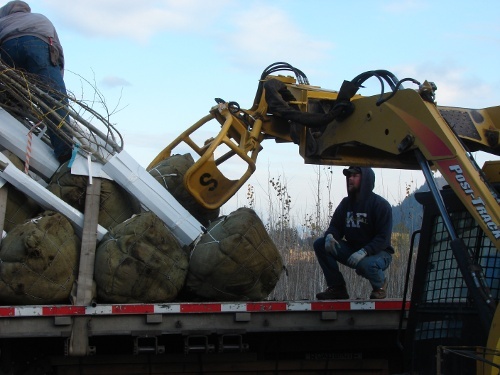 We package trees in balled and burlap wire baskets and are wet, dirty and sometimes muddy. Treetops are in the nose of reefers and hanging off the back of the flatbeds or step decks. Typical loading time is one hour for flatbeds/step decks and one and one-half hours for reefers/containers/dry vans. We ask drivers to arrive at least 30 minutes early for staging so loading begins promptly at the appointment time. Total load weight is in the 34,000-44,000 pound range. 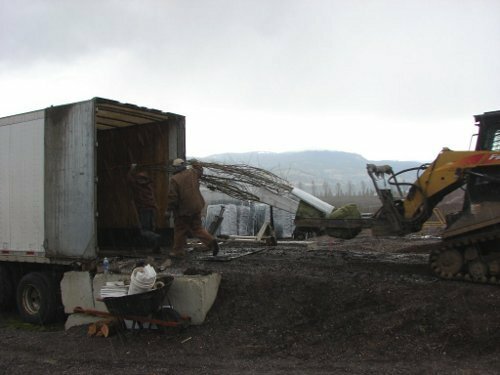 Trees are loaded using a track machine with forks and stacked on the bed similar to dominoes. The first row of trees are placed midway on the deck. 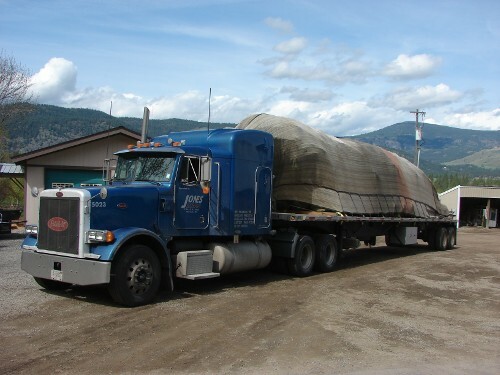 Flatbeds and step deck trailers MUST have breathable 20'x54' nursery tarps to fully cover the trees. Double grommet tarps are preferred. Spread axels handle the weight distribution of our product most efficiently. Reefer units must be nose mounted due to the weight distribution of our trees. If the driver arrives the night before the appointment, overnight parking at the Nursery is available. We have no amenities to offer but an outhouse, a water hydrant and one gorgeous view! TJ's Tavern will allow truck parking behind their business with owner permission. Located on Hwy 395 at the east end of town as you enter Kettle Falls from Colville. Restaurant area and bar area are separate. Chevron Station has room to park overnight and offers fuel, laundry, shower, Subway food service, and mini mart. Located on Hwy 395 at the west end of town, just before the Junction of Hwy 25. DOT weigh station located across the street from Chevron Station for weight check.